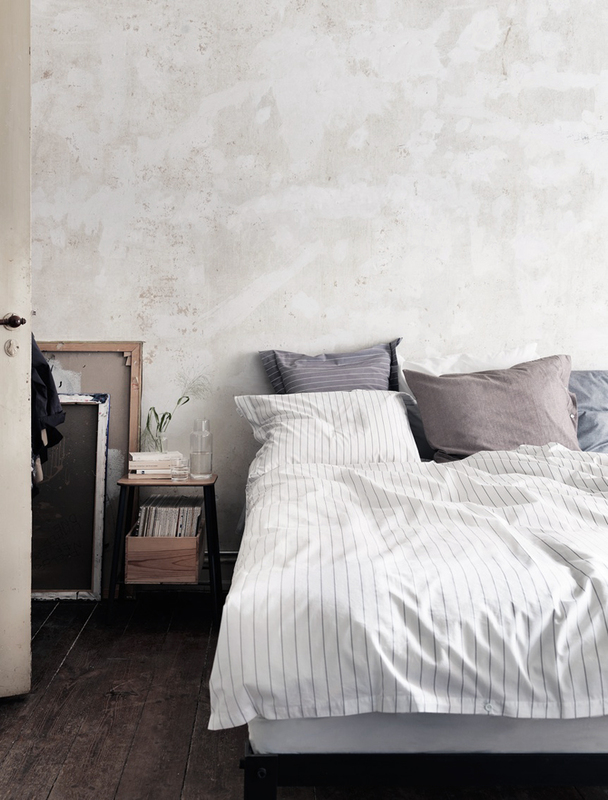 From some styling work for Åhléns by Emma Persson Lagerberg, I like the softness of this bedroom scene. It reminds me of a quiet evening-like the one when your little one goes to bed early and somehow you manage to cook a really nice dinner for yourself and eat it outside while the sun sets. With candles. And no talking is required. Right...moms? soooo lovely, thanks for sharing! I love this!! !the un-finished wall and wood flooring...you post always such beautiful pics!! I love those sheets! Where can you buy them?